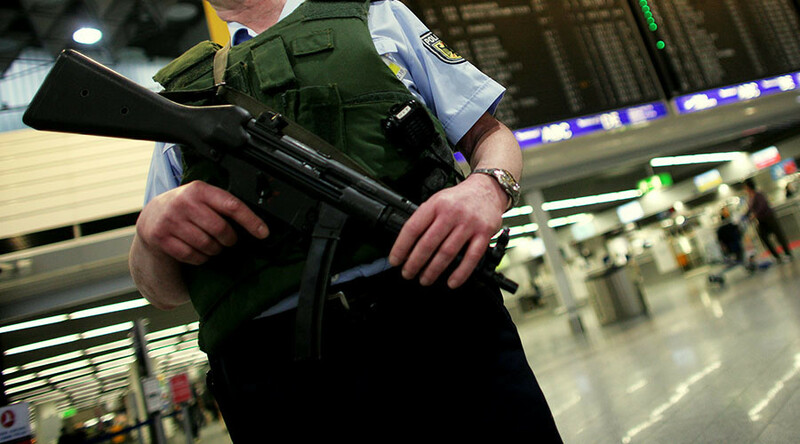 Suspected use of “irritant gas” triggered an emergency situation at a check-in counter of Frankfurt International Airport. Six people were slightly injured, police confirmed. Those affected have been treated for inhalation and eye irritation, German media said. The incident took place at Frankfurt Airport’s Terminal 1 on Monday afternoon, German media reported. Passengers at a check-in counter complained about eye irritations, prompting the airport to dispatch emergency units. “6 persons are slightly injured, cause unknown, the investigation is underway,” law enforcement announced on Twitter. A number of counters were temporarily closed, Focus magazine reported. The incident is not related to terrorism. Der Feuerwehreinsatz ist beendet, Schalter wieder offen und keine Messwerte mehr feststellbar. Viele Grüße von FRA. Frankfurt Airport announced on Twitter the check-in counters are now open and operating as usual. Frankfurt Airport, one of the busiest and largest in Europe, previously had another incident in Terminal 1. On Saturday evening, federal police detained a 37-year-old man who claimed he was carrying an explosive device in his luggage, DPA news agency reported. The terminal was partially evacuated and the entrance cordoned off, but examination of the man’s luggage only revealed computer parts and a small fuel bottle for camping.